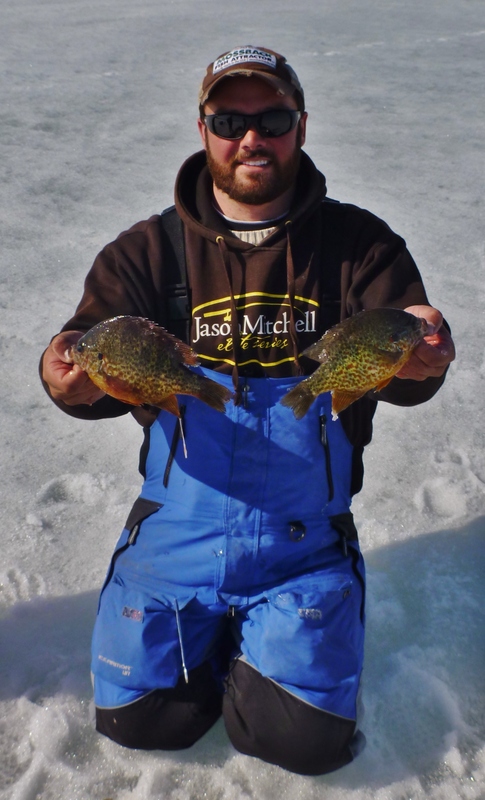 The plan for the day was to locate some late ice panfish. We were on a bay that usually provides some great fishing but has been dead all winter. Getting on the water around sunrise was the plan as reports said the shores were not super solid. We made it on the ice and started off with a plan of cutting shallow and working deep. While my buddy cut ahead, I followed using my underwater camera. Sure I was looking for fish, but weed composition was also being kept track of. With the number of bass and pike moving in for the spawn, dense weeds would be necessary for our target species. It took a while to find some fish but for the rest of the day, the area that we fish was small. 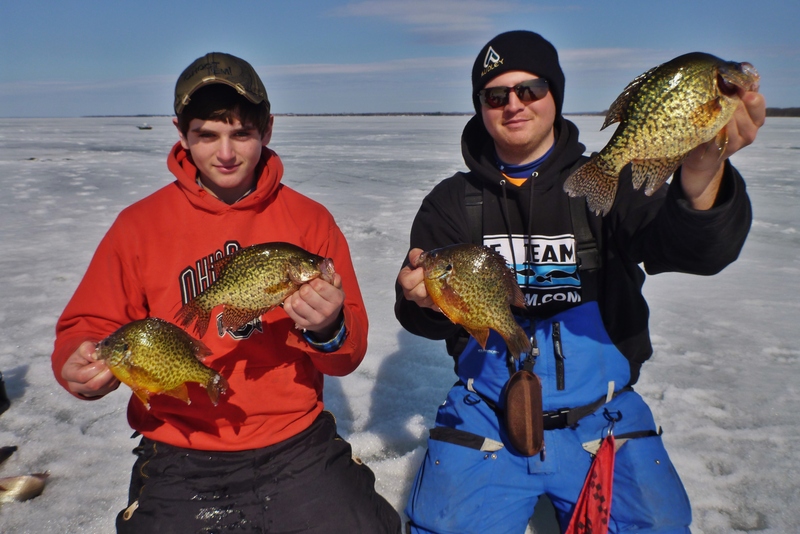 Even though the target for the day was crappie and pumpkinseed, white perch were the most common species. Big ones too! 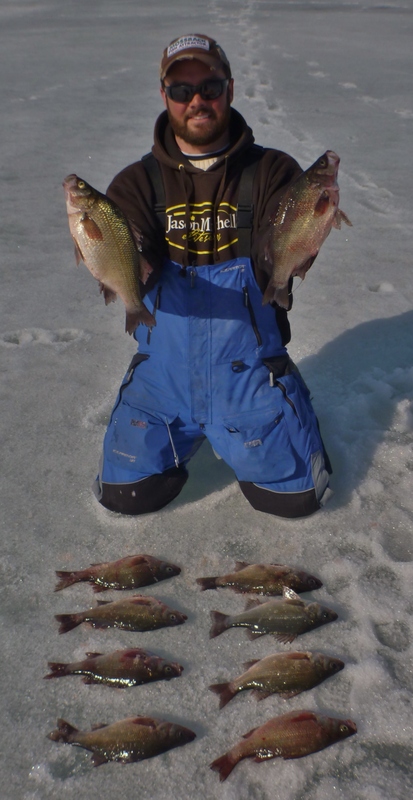 Picking at the panfish between runs of perch was fun and they bit well until about 3. At that point, everything shut down. For about an hour, we walked in every direction trying to locate where they moved to. They were no where to be found so we decided to pack it up for the day and come back early in the morning for round two.